Meteor Foundry's Energy Saving Initiative - Meteor Foundry Co.
Manufacturing is an energy intensive industry. Energy efficiency is an important part of maintaining the high standards we expect to deliver to every one of our customers. Although replacing older, outdated systems with new energy savings components are labor, time, and cost intensive, it is very worthwhile in the end. We have developed a three phase energy saving initiative to improve the facility for our workers while reducing energy use. 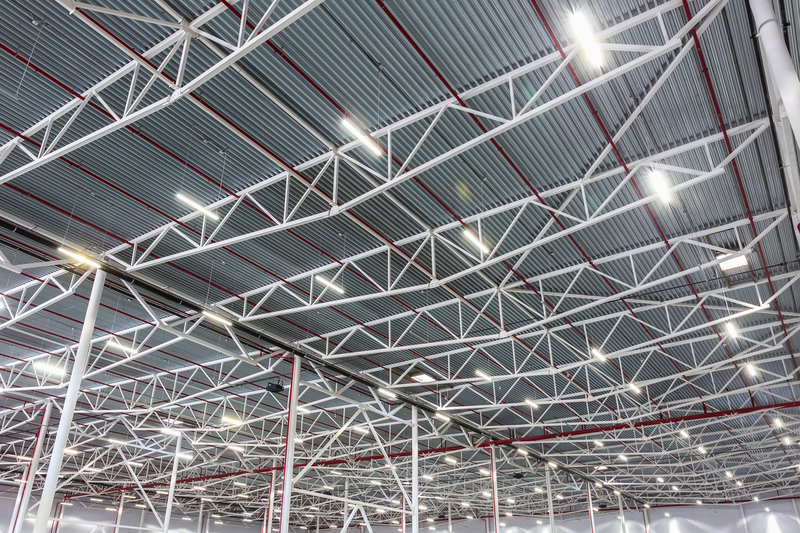 We have just completed Phase 1—the installation of LED lighting throughout the entire factory. LEDs offer so much more than incandescent and even fluorescent lighting. The light is brighter and cleaner and uses a fraction of the energy of other lighting materials. Because the factory is so much more well-lit than before, it improves safety among our employees. The switch to LEDs was an easy choice to make. In addition to brighter light, LEDs don’t produce as much heat as traditional lights. This keeps the factory cooler and in a foundry, a little less heat is welcome! The price reduction of LED lighting is another reason to upgrade. Lower costs, improved LED products, and long operating life of the bulbs made this aspect of our energy saving initiative a win-win situation. The long life of the bulbs will mean less maintenance, especially in high, hard to reach locations – further reducing our operating costs and increasing funds to put towards our customers. 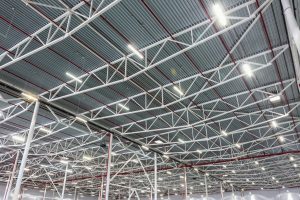 Reducing energy use is an important aspect of manufacturing to stay competitive. This is the first step in our plan to improve efficiencies while continuing to maintain a safe workplace for all of our employees. We’ll keep you updated on our progress in future blogs! Meteor Foundry serves a wide range of industries with very diverse requirements. To learn more about our services, capabilities, and the industries we serve, please visit our site or contact us today! This entry was posted in 3D Printing, Castings, Manufacturing, Metal castings, Mining and Castings, New Technologies, Projects, Robotics, Safety, Sustainable Manufacturing and tagged competitive manufacturing, energy saving initiatives, improving manufacturing efficiencies, LED fraction of the energy, LED lighting systems, LEDs don’t produce as much heat, long life bulbs, new energy savings components, reducing operating costs. Bookmark the permalink.